Hong Kong’s stars shine a little brighter with the release of the 2013 Michelin Guide Hong Kong and Macau. 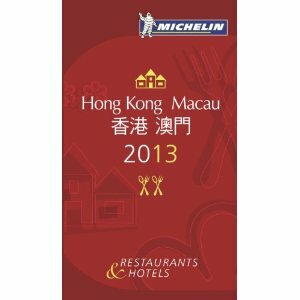 The Michelin Guide Hong Kong and Macau celebrated its fifth anniversary with the publication of the 2013 guide this week, with several restaurants adding to their tally of Michelin stars, including the local cuisines of Ah Yat Harbour View, Summer Palace and Tin Lung Heen, which all graduated from one star to two. The Guide saw some major changes from last year’s edition, with 40% of the 2013 Guide changing. The region’s four three-star establishments – Caprice, L’Atelier de Joël Robuchon, Lung King Heen and 8 ½ Otto e Mezzo – Bombana – however, remained unchanged from the previous year’s Guide. 8 ½ Otto e Mezzo – Bombana remains the only Italian restaurant outside of Italy to have been awarded the highest accolade the Michelin organisation awards. There are two new restaurants in the two-star category – Japanese Ryu Gin and sushi specialist Sushi Yoshitake – and nine new entrants at the one-star level, alongside three promoted from the non-star “bib gourmand” category of recommended restaurants. Fifteen new restaurants in Hong Kong and Macau made the bib gourmand list. The Guide came under fire in its inaugural year for not taking local cuisine into enough account, and this year local media have reported that some outlets who have gained recognition from the French company fear rents may rise on the back of their awards.